Behind a strong singles performance with a sweep against Washington College and winning two of three doubles matches against Christopher Newport University, men's tennis is ranked in the top 25 in Division III and continues to improve their level of play. No. 15 Case Western Reserve University men’s tennis team won two games this weekend, taking down Washington College 9-0 and No. 28 Christopher Newport University (CNU) 6-3, while losing to No. 32 North Carolina Wesleyan College (NCWC) 5-4. The team’s record rose to 4-4 after the weekend was over. The team played Washington College and NCWC on Saturday, Feb. 24 in Virginia. Everyone performed well against Washington College to complete the sweep. 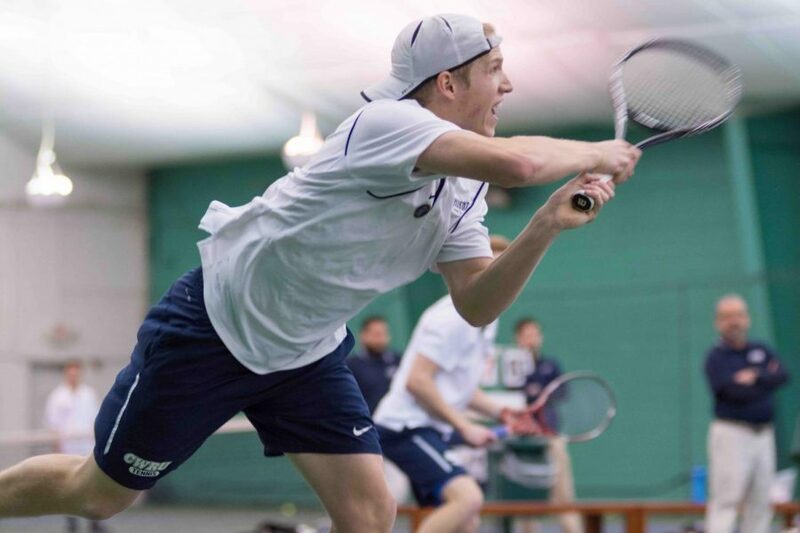 In their doubles matches, CWRU fourth-year player James Fojtasek and first-year player Matthew Chen won 8-3, second-year players Zach Hennessey and Anthony Kanam won 8-2 and first-year players Neil Mabee and Jonathan Powell won 8-0. Their dominance continued into the singles matches. Third-year player Rob Stroup won 7-6, 6-4, while second-year players Siddharth Rajupet, Sam Concannon, Henry Squire and Kanam were also decisive in their victories. First-year player Earl Hsieh also won 6-1, 6-2. Against NCWC the same day, the Spartans did not fare as well. Although the team won two out of three matches in doubles play, NCWC capitalized in singles play by winning four of six matches. CWRU played them neck-and-neck; the match was decided by a tiebreaking third set as Kanam went down 7-5, 3-6, 7-6. Head coach Todd Wojtkowski spoke about how close the loss was after the match. “Sometimes it is tough to gauge the level of play from that team as they are comprised of all international players,” he said. “However, on paper it was supposed to be a 50/50 match in which it came down to the end, and it did”. This defeat went on to fuel the Spartans for their match the next day. Playing a more highly ranked opponent than NCWC in Christopher Newport University, CWRU faced the challenge head-on and came out with the victory. After a Spartan loss in the first doubles match 8-3, Kanam and Concannon flipped the script by defeating their opponents by the same margin. However, CNU was able to win the third doubles. In the first singles match, Christopher Newport extended its lead with a 6-2, 6-2 victory over CWRU’s Fojtasek. 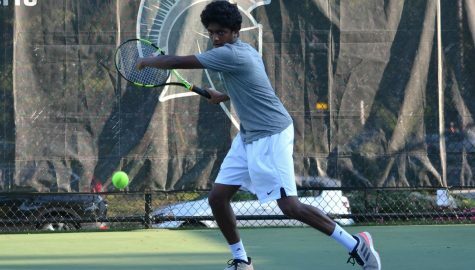 Down 3-1 as a team, the Spartans stepped up their game and won five consecutive singles matches. Rajupet, Kanam and Concannon did their parts to rally the team back. Stroup sealed the team win in the fourth singles 7-6, 2-6, 6-3 and Chen solidified the victory in the second singles 7-6, 4-6, 7-6. After the match on Sunday, Coach Wojtkowski discussed his thoughts on the win over Christopher Newport. “I am incredibly proud of the way that we bounced back the next day and played incredibly tough to overcome the home squad, Christopher Newport,” he said. “It feels like we are getting better and better exponentially with each match we play”. 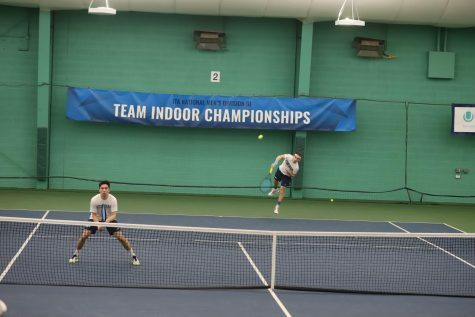 The Spartans hope to carry the energy from Sunday to next Saturday, March 3, where they will host the University of Rochester and Hobart College at the Medical Mutual Tennis Pavilion at Cleveland State University.